There is an Arabic proverb that says "A coincidence could turn better than a thousand meetings or planned events". This is soooo applicable to this no oil, no butter banana cake recipe. 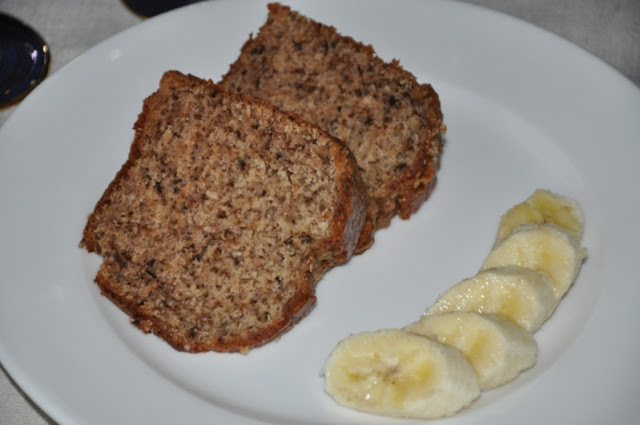 For years, I meticulously followed the instructions for the banana cake recipe. Then one day after I prepared my banana cake and tucked it in the oven, I discovered, to my dismay, that I had forgotten to add the oil! Thinking that the banana cake would be a complete disaster, I was pleasantly surprised to discover that it turned out well. 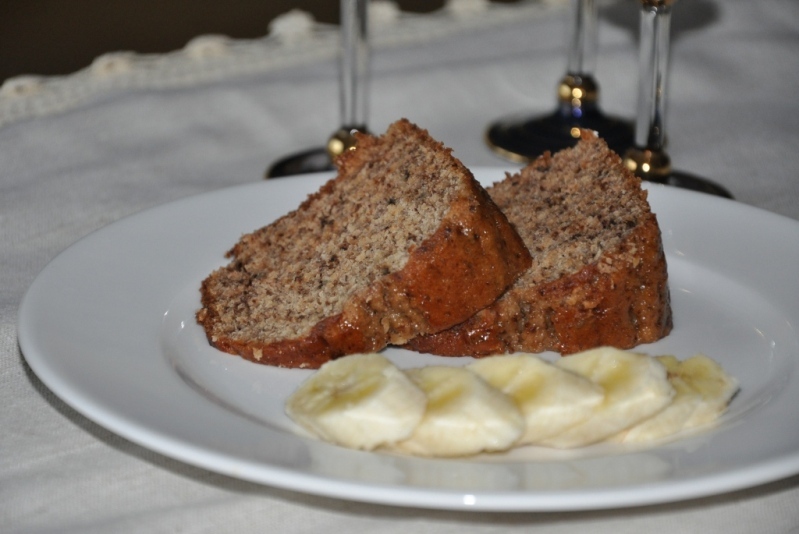 I baked the same no oil, no butter banana cake the following day to test how I can improve the oil-less version more. After this, I became curious and adventurous and started trying to tweak all the cake recipes I had to see how much of the oil and sugar I can reduce yet have the taste I want!! It didn't work for some cakes, but for others, they turned just perfect. I felt that was a great achievement, for we all agree that indulging in our sweet tooth with much less guilt is much more enjoyable! I even tried preparing this no oil, no butter banana cake with brown flour. Replacing the white flour didn't work very well as the cake with brown flour didn't rise well. Nowadays, when I am in one of my health frenzy's, I prepare this no oil, no butter banana cake using 2/3 white flour and 1/3 brown flour, but white flour by itself gives the best results! I mash my bananas in the food processor. 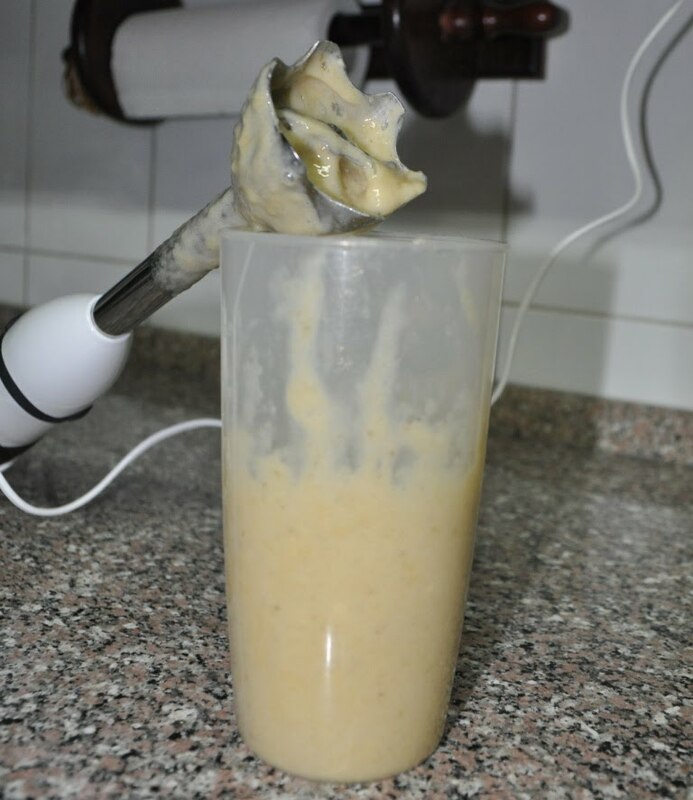 For chopping the walnuts, I usually use the large food processor with the heavy-duty blade, so that the walnuts are very fine and there are no detectable traces of the walnuts in the baked banana cake. I do that because when walnuts are evident, the cake instantly becomes less appealing to my girls! If that is not a problem, you can place the walnuts in a plastic bag, wrap it with a kitchen towel and use the garlic crusher as a hammer to break the walnuts into smaller pieces. If you use coarsely chopped walnuts, your no oil, no butter banana cake will be lighter in color and more yellowish than the picture of my cake. To make the banana cake, beat all the ingredients with an electric mixer until there are no lumps in the batter. If you are using chopped walnuts, beat all the other ingredients until the batter is creamy with no lumps, then add the walnuts. Pour in a greased and floured pan and bake. Use a 23cm round pan (9 inch pan) or a bundt cake pan. Check my post on Tips for removing cake from pan in one piece. If you are baking in the oven, set the oven at 350°F and bake for 45 minutes or until toothpick comes out clean. Be careful not to judge the cake readiness by it's crust as this no oil, no butter banana cake has a moist crust even when done. 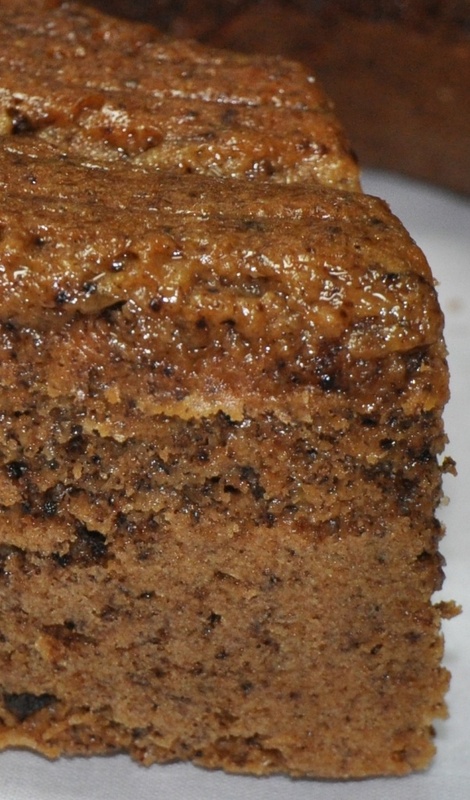 No oil, no butter banana cake a moist cake the whole family will enjoy! You can frost the cake with cream cheese frosting, but for a healthier version skip any frosting. Hope you enjoyed today's easy sweet recipe: No Oil, No Butter Banana Cake. Bon appetite.